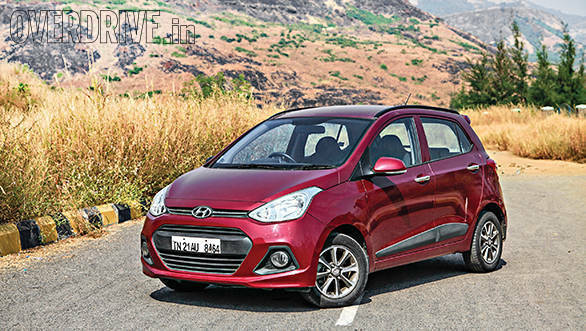 Hyundai Motor India has announced the 20th edition of the Free Car Care Clinic that will be held across its 1,150 service centres from October 24 to November 2, 2015. Customers can get a 90-point check up for their cars which applies to the air-conditioner, underbody, electricals and the engine. The company is also offering discounts on spare parts, labour charges and certain accessories. In addition, Hyundai is also offering discounts on extended warranty and special prices on exchange of old cars. Speaking about the the free check-up sessions, Rakesh Srivastava, senior vice president  sales and marketing, Hyundai Motor India Limited said, "We at Hyundai believe in understanding the evolving needs and preferences of our customers. Hyundai's Free Car Care Clinic has always received an overwhelming response from our customers and this year we hope to see an increased participation from our customers across the country. Our vision is to be the life time partner of our customers and we would like to offer the premium Hyundai experience at all the touchpoints through our channel partners spread across the country." Besides the free check-up, the company is also offering additional discounts to customers who own a Hyundai that's over four years old. New Delhi, Oct 23, 2015 : Hyundai Motor India Ltd, the country's leading premium vehicle manufacturer and the largest passenger car exporter, today announced the 20th edition of the nationwide 'Free Car Care Clinic' at it's more than 1,150 service outlets across India. Aimed at extending the advantage of its excellent services to its customers, the camp will be held from October 24 to November 02, 2015 at all service outlets across the country. Announcing the 20th Free Car Care Clinic, Mr. Rakesh Srivastava, Sr. VP  Sales & Marketing, HMIL said, "We at Hyundai believe in understanding the evolving needs and preferences of our customers. Hyundai's 'Free Car Care Clinic' has always received an overwhelming response from our customers and this year also we hope to see increased participation from our customers across the country. Our vision is to be the life time partner of our customers and we would like to offer premium Hyundai experience at all the touch points through our channel partners spread across the country." The 'Free Car Care Clinic' will offer a comprehensive 90 point check-up with a thorough examination of the engine, transmission, electrical system, under-body, AC, exterior, etc. Customers can also avail attractive discounts on spare parts, labour charges, selected accessories, and other value added services. In addition to all this there are exciting discounts on extended warranty along with excellent offers on exchange of old cars. Being the most loved and trusted brand of the customers, Hyundai offers additional attractive offers for the customers owning vehicles more than 4 years old. M/s Indian Oil Corporation Ltd, the prime sponsor for this event is also offering attractive schemes and gifts during the camp. To reward our loyal customers attending the camp, attractive gifts like free extended warranties will be offered every day. Many other exciting prizes can be won during the camp period of the 10 days. Customers can book their service in advance through "Hyundai Care" Mobile Application or through customer care website (www.customercare.hyundai.co.in).